Hiring a professional wedding photographer is the difference between amazing photos you are proud of and love to look at vs. disappointing snaps you hide away in a drawer. Your wedding day will be one of the most important days of your life, and you’ll want to remember it forever. One of the best ways to reminisce about your wedding day is by looking back at the photographs. I’m going to tell you why I (as a photographer myself), hired a professional photographer to shoot my wedding photos. I didn’t want to leave my wedding photos in the hands of just anyone. I wanted someone who was going to be fun on the day and to be able to capture the shots that mattered. The wedding industry is built on trust, who you know and the all-important referral. Find somebody who has used your photographer before. Research online and get in contact with previous brides and find out how they were on the day. You don’t want your photographer turning up and being a grumpy guts because it will just sour the day. I had 2 meetings with my wedding photographer before the big day. The first was in an informal meeting to discuss the shots that we wanted. Traditionally we wanted all the ‘posed’ family ones so that family can have them for themselves. We also wanted a sunset shoot. I always liked those shots. The second was a visit to the venue itself. This is hugely important because the photographer will scout out the location and decide where you are going to get the best shots. They will also see where the sun shines through the building and grounds which will help them to understand the best time of day for taking certain shots. You are putting your big day in their hands. It is the photographer’s job to capture the happiness, the laughter, the tears, the hugs and even that big cat fight between your two Aunties after far too much wine at the open bar. Priceless. You are trusting your photographer to capture the day as it happens; to document the day, the bride and groom and all of your guests. Being reassured that they are going to turn up, that you’ve seen their previous work and that you feel confident to have this person around you all day and in the evening is a priceless feeling. If you don’t trust the photographer – well I don’t need to say anything other than: find another one. No photographer wants to work for free. They’ve spent years learning their craft, thousands of pounds on equipment and have staked all their money and business on providing the best wedding service they can. So it’s no surprise that professional photographers will find it deeply insulting when someone asks you to work for free. You wouldn’t ask a mechanic to fix your car for free, an accountant to do your books for free or a cleaner to clean your house for free – so don’t expect that from a photographer. Price can vary between £500 to £3000 and that’s not uncommon! What I have always said to future brides and grooms is if you don’t trust their work or don’t get the right feeling from them – don’t go with them. Budget is a big concern of many weddings and photographers are used to this. Many will have packages tailored to more ‘budget friendly’ couples. They won’t scrimp on quality or service, but these packages will simply limit the amount of time they will be with you for. Talk to photographers and find out what is best for you and your day. How long will the photographer take to deliver the images? I was very specific with my wedding photos; I wanted them edited and sent over to me one month after the wedding day. Agree a delivery date for your photographs with the photographer. They will let you know when it is going to be possible to deliver. If you have it all written down in the contract, then its binding. Everyone has at least one friend who has a big, posh DSLR camera. You might think that asking your friend to photograph your wedding for free would be cost effective and altogether more fun, right? Let’s not forget what a wedding is. Your wedding is not a day that you want to leave everything in the hands of a friend because if something goes wrong, that’s your friendship down the toilet. It is very true that they say never work with your friends and this is especially true when it comes to weddings. If nothing else, if you put all the pressure on your friend to take your photographs, that means they aren’t going to be able to kick back, relax and enjoy the day. Find an external photographer and let your friend enjoy the day as much as you do. 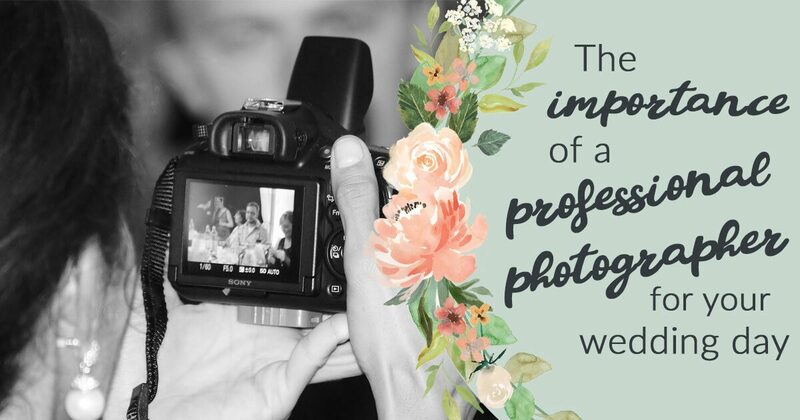 Hopefully this will help you on your way to choosing your wedding photographer. With trust, reliability and a quality portfolio, rest safe in the knowledge that your wedding day is in safe hands. Sunset photograph by Steve Porter. 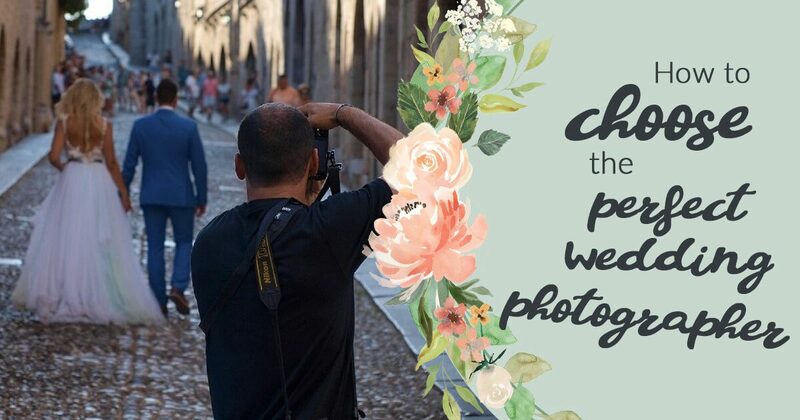 with so many wedding photographers out there, how do you know which one is perfect for you? Here are some tips for finding your dream wedding photographer.